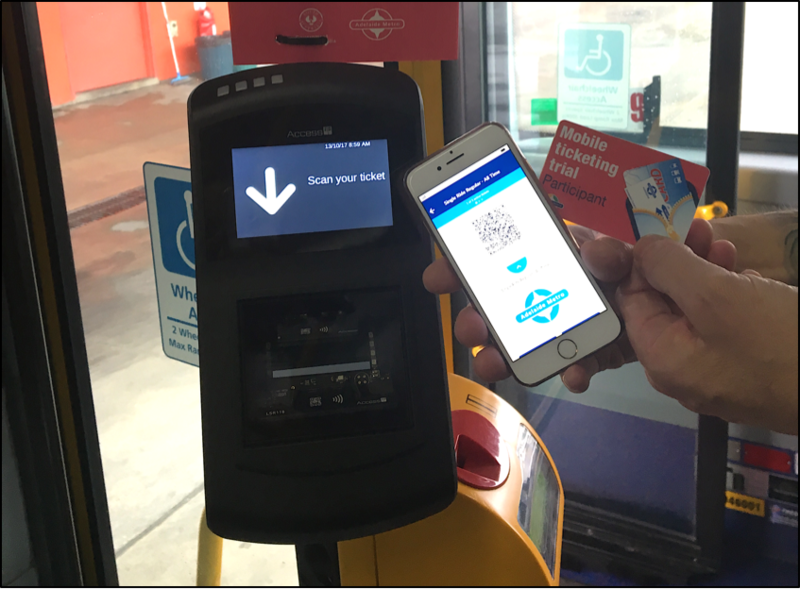 November 13th, 2017 – Adelaide, Australia: Masabi, the global leader in transit mobile ticketing and innovative fare collection, is proud to be part of operating a two month trial in South Australia, with the Department of Planning, Transport and Infrastructure (DPTI) to test the feasibility of smartphone-based payments on South Australia’s public transport network. Masabi’s Justride is being tested by 50 DPTI employees on Adelaide city trams and SouthLink operated Hills and Outer South Express bus services. In addition, Mastercard is providing its gateway services to facilitate test payments linked to South Australia’s acquirer, Commonwealth Bank of Australia. As part of the trial Masabi has deployed 15 VAL 100 on-board ticket validation units in partnership with Access-IS, that allow passengers to scan mobile tickets and provide DPTI with real-time usage data.